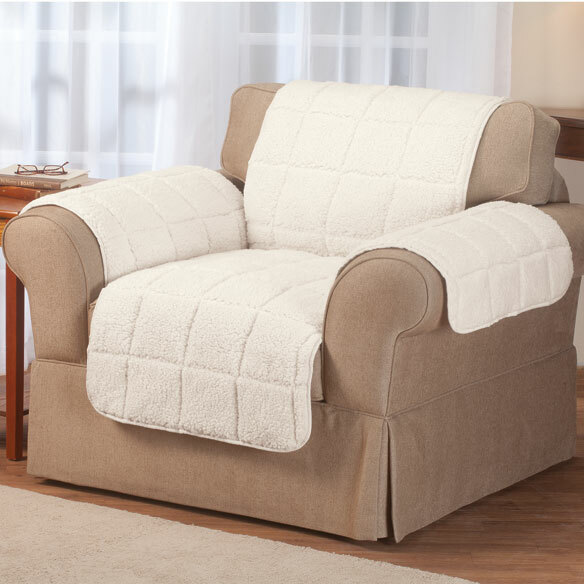 Waterproof quilted sherpa chair protector by OakRidge™ makes living worry-free. 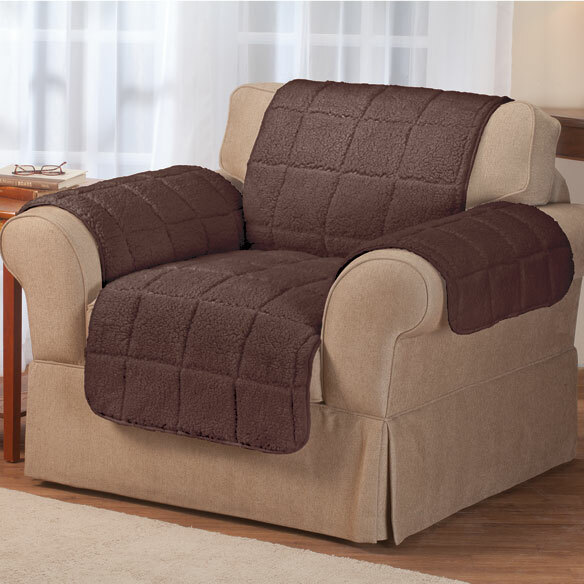 Easy-on/off furniture cover fits most chair styles, with arm covers and a longer back for stay-in-place protection. Waterproof fabric protects from pets, spills and incontinence leaks. Soft, snag-resistant surface adds plush cushioning for maximum comfort. 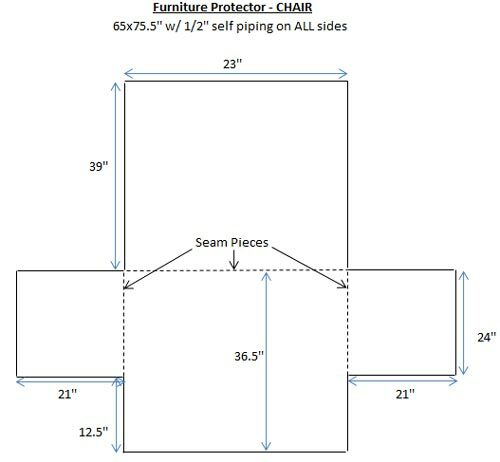 Seat 36 1/2" L x 23" W; back 39" L x 23" W.
My first time ever reviewing a product but this was a lot of money and I really hesitated but now that I have two chair covers and a sofa cover, not sure how I did without them. I dog sit so I have dogs on them all the time. So far no hair that I can see and my dog sheds like crazy. I have big fat pillows on the back of my couch and cover fits over perfectly. I have side pillows too that go about ten inches above armrest. It will cover to top of pillow only. I chose to leave side pillows on the outside because my couch is a print and it looks nice. After 24 hours of use by multiple dogs, all covers are in place. I read many reviews of other couch protectors that were cheaper but these are the only ones that have the things that go down on the sides and back to keep them in place, plus material is thick. Really works. And the waterproofing works. Just poured some water on and it didn't go through and stayed on top to give me time to wipe up. I gave it five stars because I am assuming that when I wash them they will still look as good. If not, I'll be back. Totally worth the money. 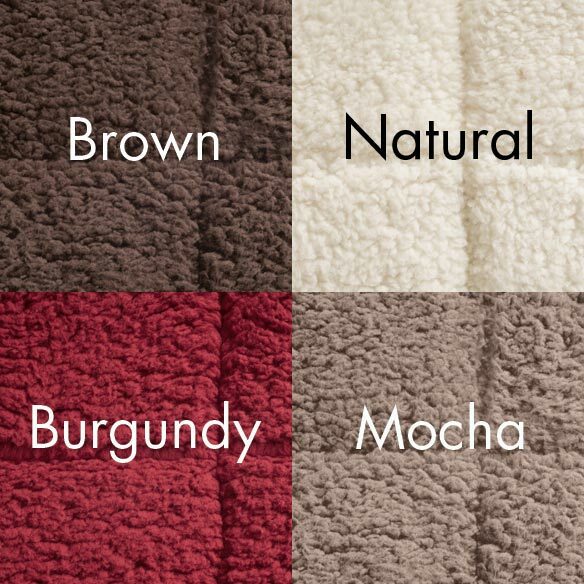 Made me so happy to get up this morning and not see all the random sheets and blankets covering my sofa and chairs. I have a husband with Alzheimers and spills are inevitable. This covering will protect the furniture and can be moved to whichever chair he chooses to sit in. BEST ANSWER: Thank you for your question. It should work in a self rising chair, you may need to tuck it again once the seat is down. We hope this information will be of help to you. BEST ANSWER: Thank you for your question. No this item is cannot be put into the dryer. We hope this information will be of help to you.